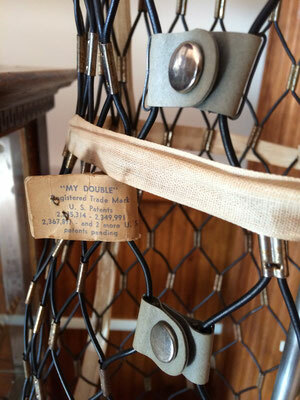 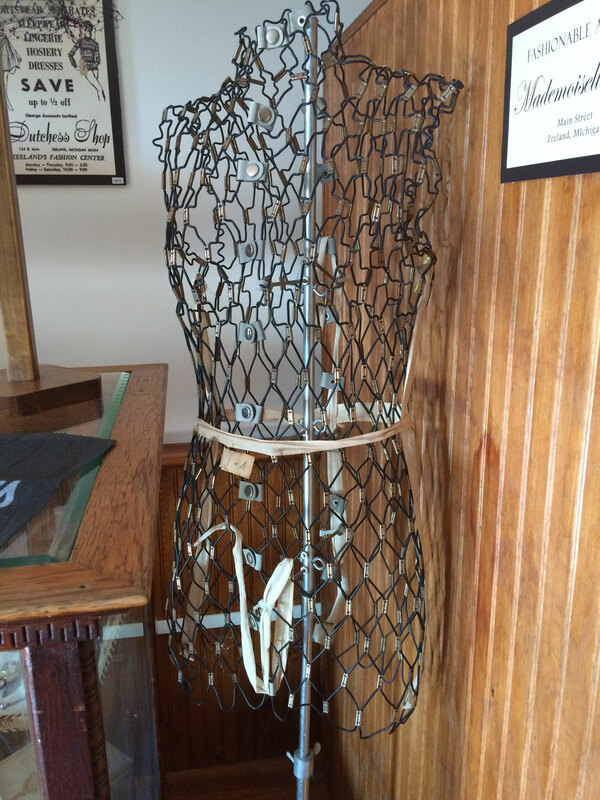 This vintage wire dress form, called "My Double", was made by Dritz in the 1940s-1950s. 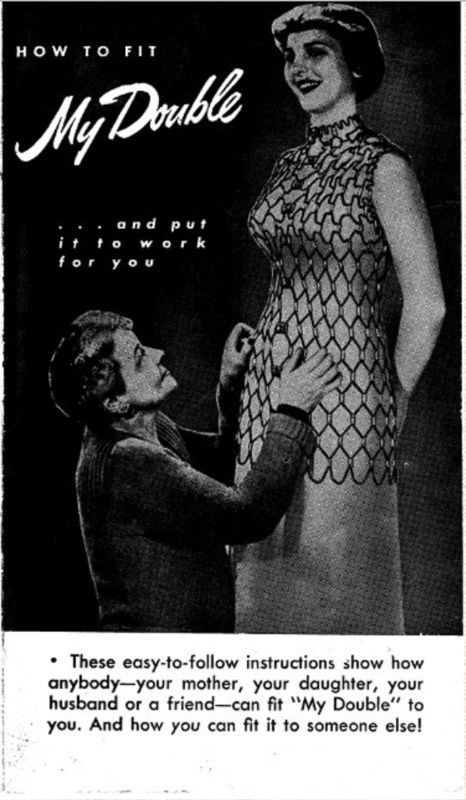 This dress form can be fitted to a person's exact size by unsnapping the buttons along one side and actually molding it to your body shape. You then slip it off and and put it on the stand for your perfect "Double". 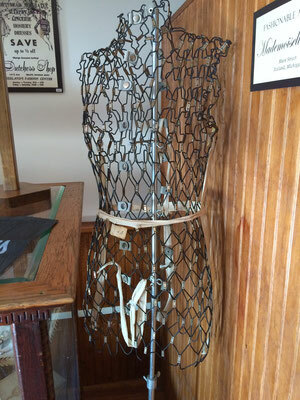 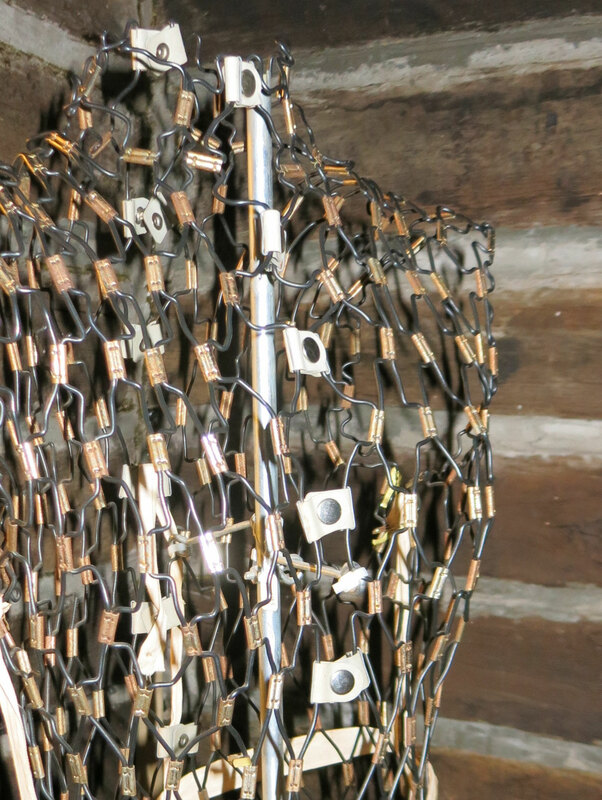 The dress form is located in Main Street on the second floor of the museum.